Managing Artistic Director Caleb Marshall and Director of Education & Programming Heather Burns. Photo credit Veronica Bonderud. I wanted to acknowledge with gratitude the W̱SÁNEĆ and Lekwungen people and the Esquimalt and Songhees First Nations, on whose beautiful traditional territories we learn, create and perform. I also wanted to take this opportunity to introduce myself. It is a privilege to be welcomed to lead such an accomplished and unique training institution in Canada’s theatre community. I have received a very warm welcome to Victoria by the staff, board, students and the broader community. Specifically I have to thank the College founders Jacques Lemay and Janis Dunning for their tremendous generosity of spirit in making this such a smooth and thoughtful transition, and move to Victoria. CCPA has graduated well over 1000 students since its inception. It has brought hundreds of artists together in collaboration as coaches, educators and trainers. 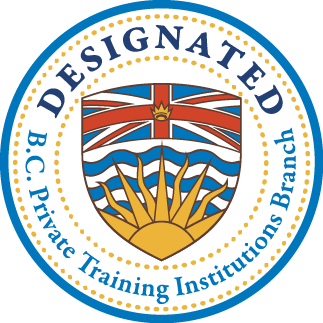 CCPA is one of the most uniquely focused conservatory style training programmes in western Canada. Over the years the college has seen incredible growth from its original one year certificate program , which doubled almost instantly to then add a second year program. Company C, our premiere third year studio Ensemble was added a few years afterwards, and under the leadership of Ron Schuster and Darold Roles, the college began affiliations for transferring to full degree programs with other institutions. Having an institution like CCPA in Victoria, national in its scope and ambition, is a rare gateway for emerging Canadian artists, and also a chance for this community to intersect with the country – to develop lifelong nationwide relationships and to expand horizons for all Canadians. To join the college while celebrating its remarkable 20 year anniversary and be able to build on this legacy for years to come is a very rare and significant responsibility that I welcome and take very seriously. I aim to carry on the tradition of creating thoughtful engaged creative citizens who will be advocates not only for their own careers but for their communities and view the trajectory of their art as a commitment to the essential need for theatre in our society. I have always measured success in arts education by preparing a student to function both as a motivated self-employed business and an inspired artist whose story telling can better illuminate the human condition. This is a commitment the college has always maintained. Personally I have been very fortunate to have had wonderful training and great mentors and I’m excited to be able to pass these kind of experiences on to the next generation of young theatre artists. 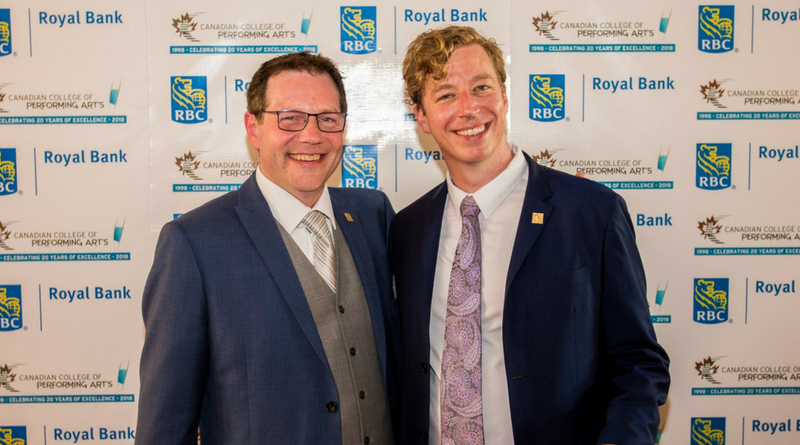 I have also had the pleasure of working with numerous talented alumni in my career and the arts community here in Victoria have been quick to profess to me the caliber and professionalism of the students the college continues to graduate. I look forward to joining this community, building a life here and getting to know you all. Hello and welcome to the Canadian College of Performing Arts. I would like to acknowledge the Lekwungen people and the Esquimalt & Songhees First Nations on whose traditional territories we teach, learn, create and perform. The Canadian College of Performing Arts, CCPA, has a legacy and reputation, reaching back 20 years to co-founders Janis Dunning and Jacques Lemay and their inspiration and vision in creating a place where emerging performing artists could come to devote time and talent to the pursuits of their individual dreams; a place where they could be surrounded by the highest calibre of instruction and direction, and a place where the creative process could be fostered and challenged in a multi-disciplinary training environment. I am grateful to the succeeding College Directors, Ron Schuster & Darold Roles for hiring me into this beautiful place and community. It has been a joy for me to work in the studios and rehearsal spaces at the college for the past 7 years, and to be able to invest in the lives of the students and alumni over that time. I have been inspired by the work and the artistry that comes out of our students year after year as evidenced in our classes, workshops, rehearsals and performances. It is an honour to have been a part of a staff and faculty that cares so much for the students, the work, and for the community outside the college that we engage with. In 2017, I stepped into senior management at the college. I count it a privilege to now lead alongside Managing Artistic Director, Caleb Marshall, navigating curriculum, artistic programming, recruitment, administration, as well as community, educational, & artistic partnerships. We believe in developing a well-rounded performer who possesses a strong work ethic, talent and discipline, and that is reflected in the students we admit, faculty that we hire, and artists we engage. We have an incredible team of faculty, staff, guest artists, Board of Directors, volunteers and community partners that support in all areas of CCPA. Whether you are a prospective student, a parent, an interested volunteer, potential or current audience member or are just simply curious about CCPA, I invite you to explore our website further or get in touch with any of us who can assist with your inquiry. If you are in Victoria, please feel free to come by our campus and introduce yourself. Thank you for your interest in CCPA!